n order to do this, the Task you select must have Price Level's setup correctly in your pricebook inside of SuccessWare21 in the office. 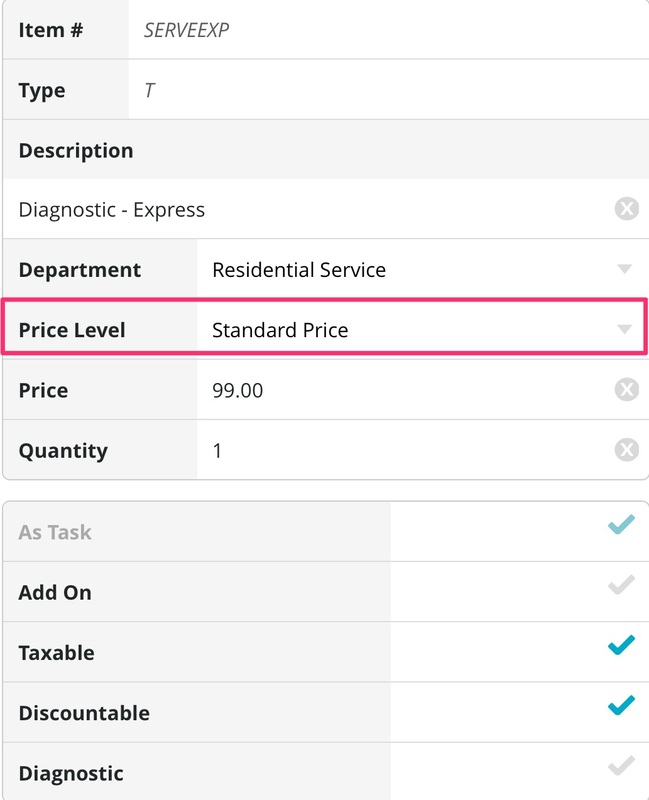 On the Edit Invoice Item screen, scroll down to where it says "Price Level" as seen below. Select the appropriate option for your situation. 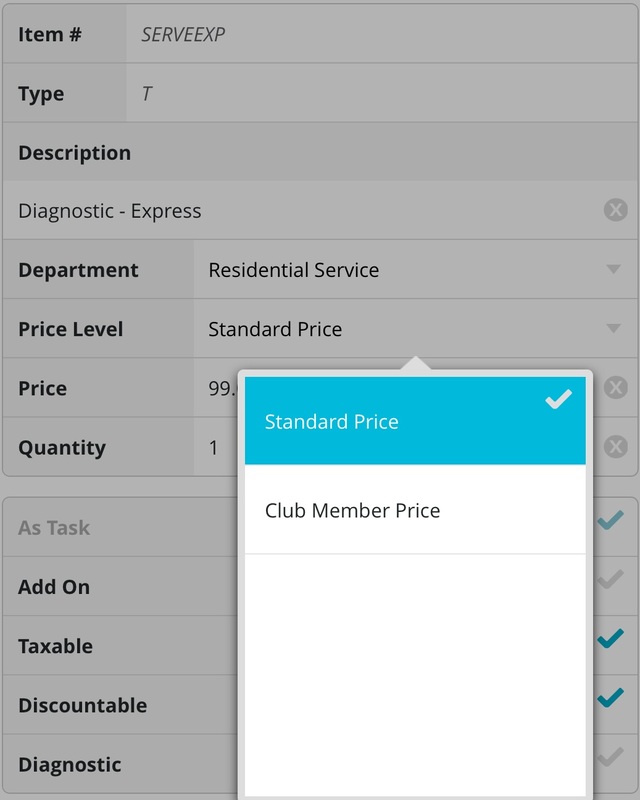 After clicking Done you will see the price change to match the appropriate level you have selected.